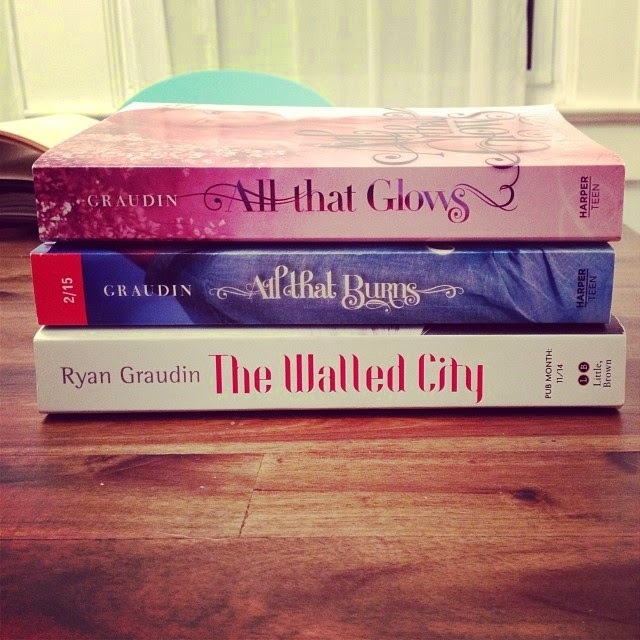 Coming home to find a box on your porch and opening said box to find your ARCs!!!! I got galleys of ALL THAT BURNS yesterday. This book was hard to write. I mean--every book is hard to write--but this one had the extra challenge of being my first sequel. I stressed and sweated and cried over this book, and so it's really wonderful to finally see it in true novel form! It's crazy to think I started with nothing almost 2 years ago and now I have a book!!! The cover is still a secret, so I had to take pictures that wouldn't compromise the reveal that will take place on June 26th. 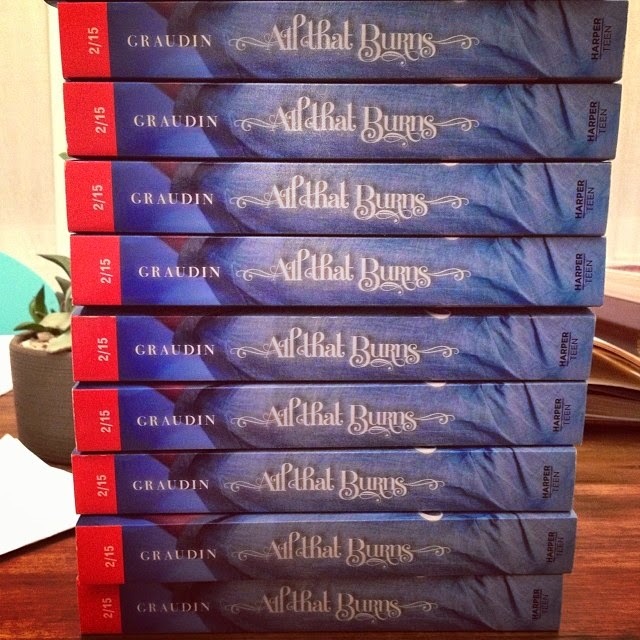 ALL THAT BURNS - coming to a bookstore near you February 10th, 2015!! The arrival of a third book of course necessitates a new "all the books I've written" photo! Look at ALL THAT BURNS sandwiched between its two loving literary siblings!! Okay, off to work on more future lovelies!